Born: 14th October 1888, St. Stephen’s, Ipswich. 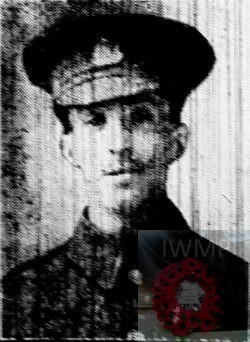 Died on or since death presumed: 25th May 1915; age 27; KiA. Residence: 11, Wingfield Street, Ipswich. 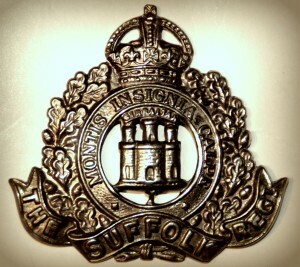 Regiment: Suffolk Regiment, 1st Battalion, ‘B’ Coy. Brother to FREDERICK ERNEST COATES. 1891 11, Wingfield Street, Ipswich. Arthur was 2 years old and living with his parents & siblings. Walter Coates, 38, a Groom – Brewers, born Wherstead, Suffolk. Margaret Georgina Coates (nee Kemp), 33, born St. James, Westminster. William Coates, 9, born Ipswich. Walter Coates, 8, born Ipswich. Elizabeth Margaret Coates, 6, born Ipswich. Ethel Mabel Coates, 5, born Ipswich. George Herbert Coates, 1, born Ipswich. 1901 11, Wingfield Street, Ipswich. Arthur was 13 years old and living with his widowed father & siblings. Walter, 46, a Coachman – Brewer. William, 19, a Grocer’s Warehouseman. Walter, 18, an Ironmonger’s Porter. Elizabeth, 16, the Housekeeper – at home. Frederick Ernest Coates, 10, born St. Stephen’s, Ipswich. Florence May Coates, 6, born Ipswich. Arthur’s mother, Margaret Georgina Coates, died 1895, Ipswich. Soldiers’ Effects to Walter Coates – father.